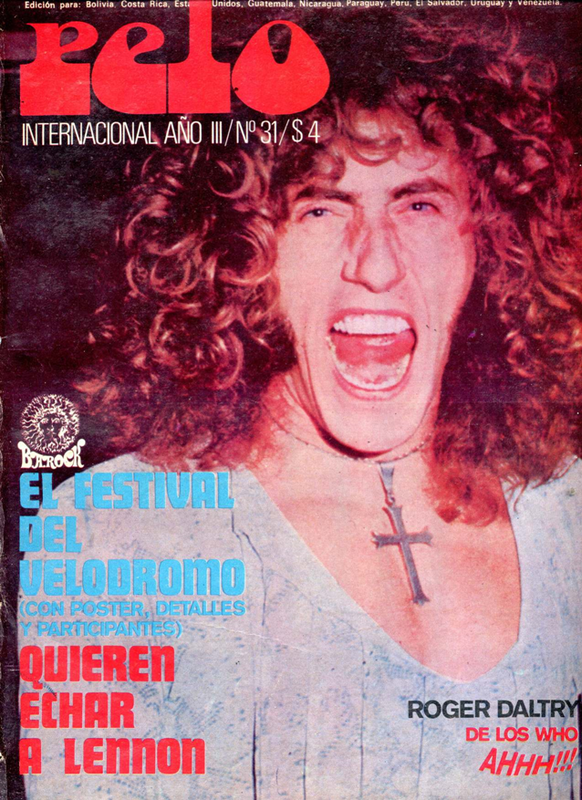 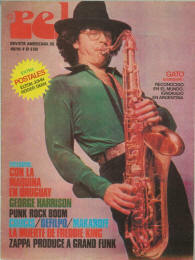 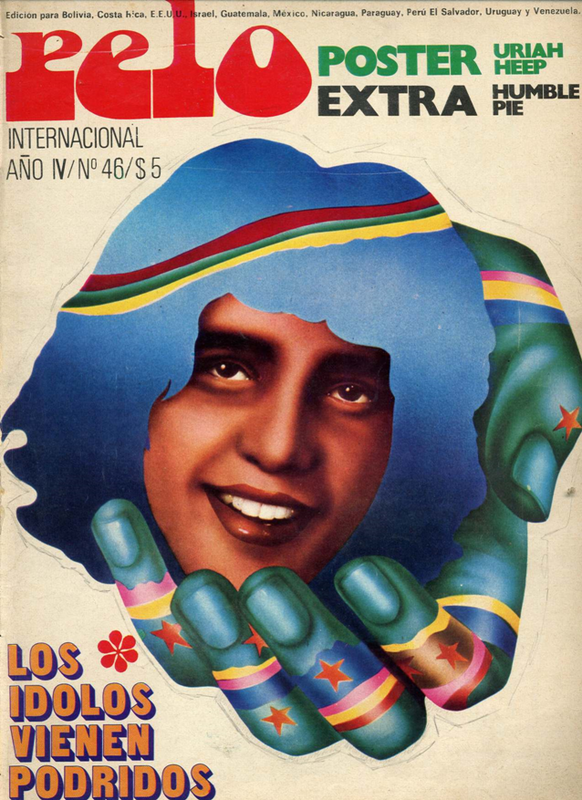 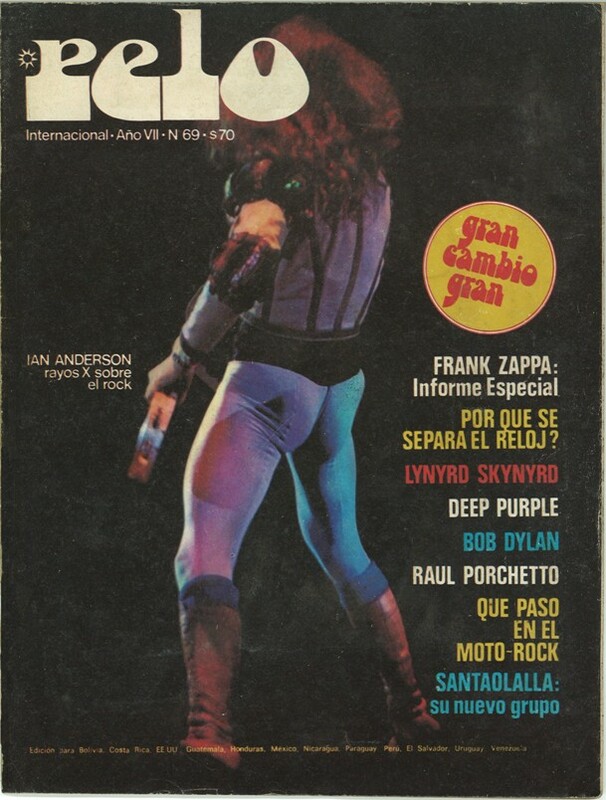 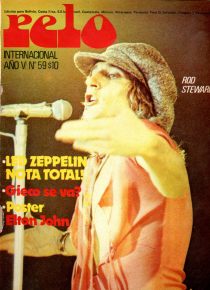 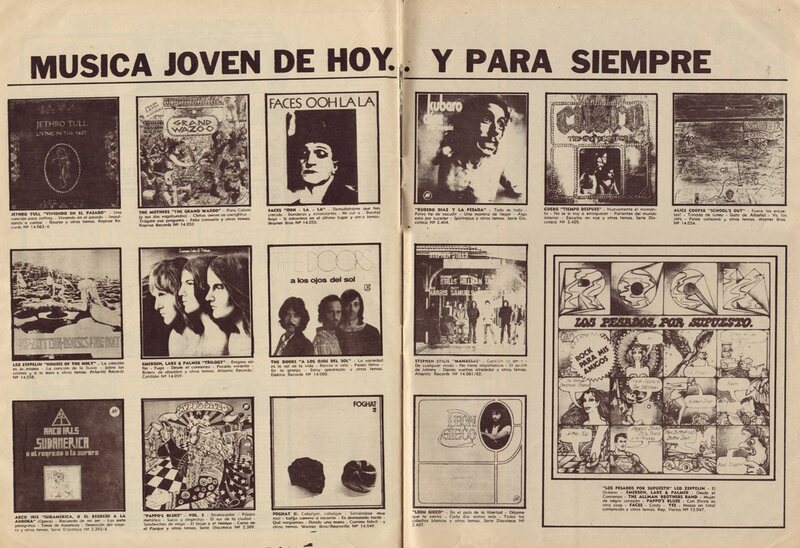 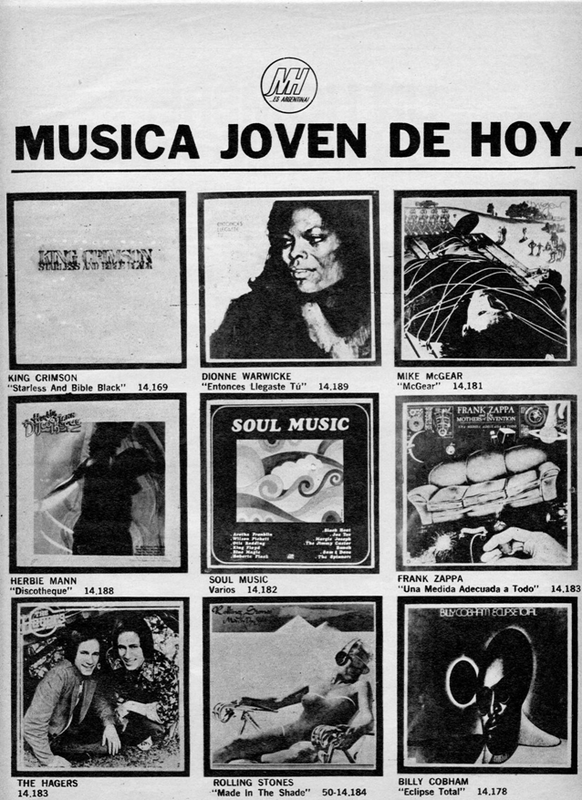 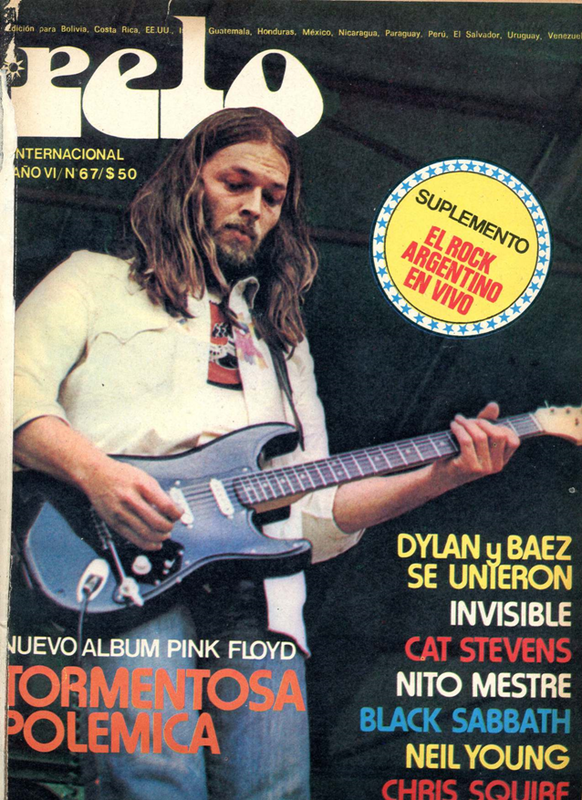 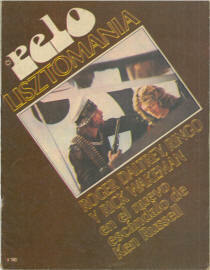 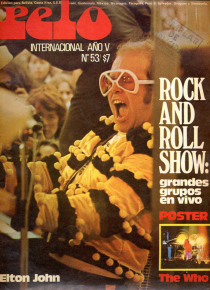 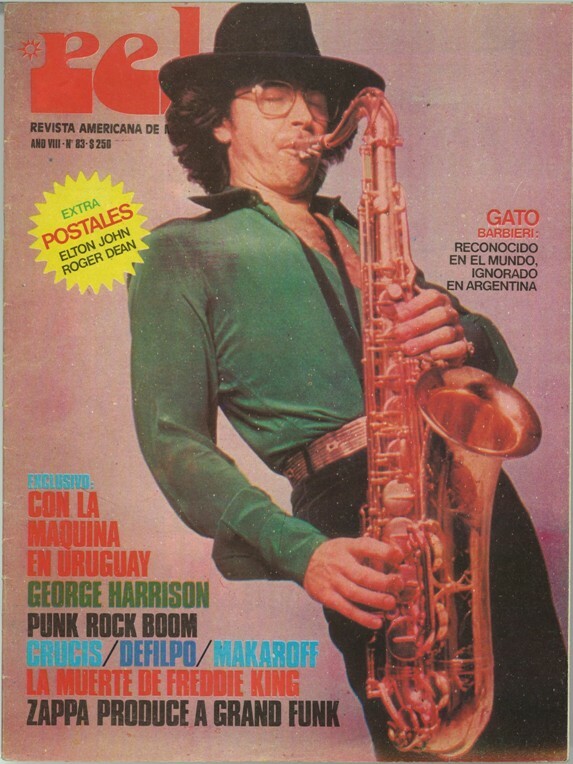 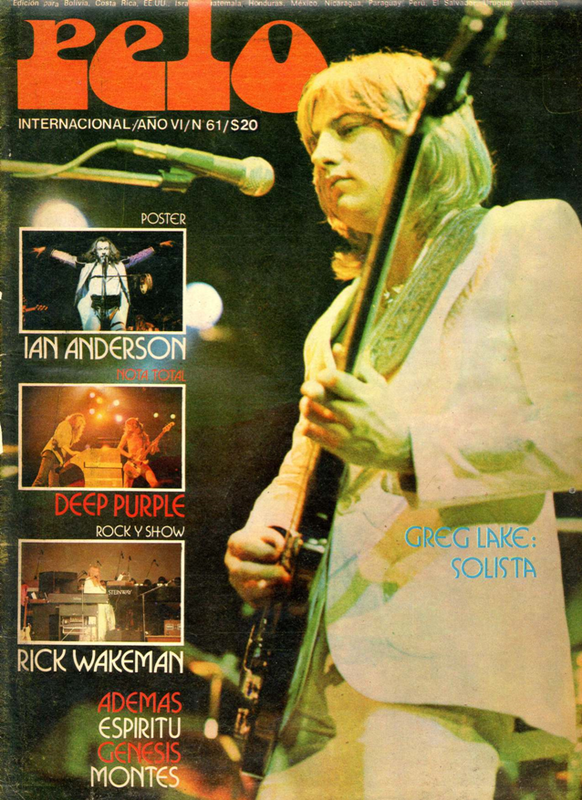 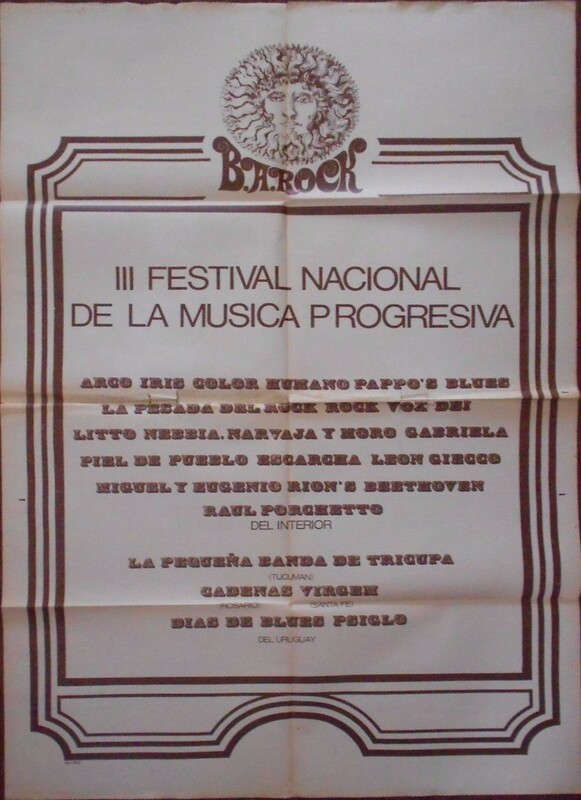 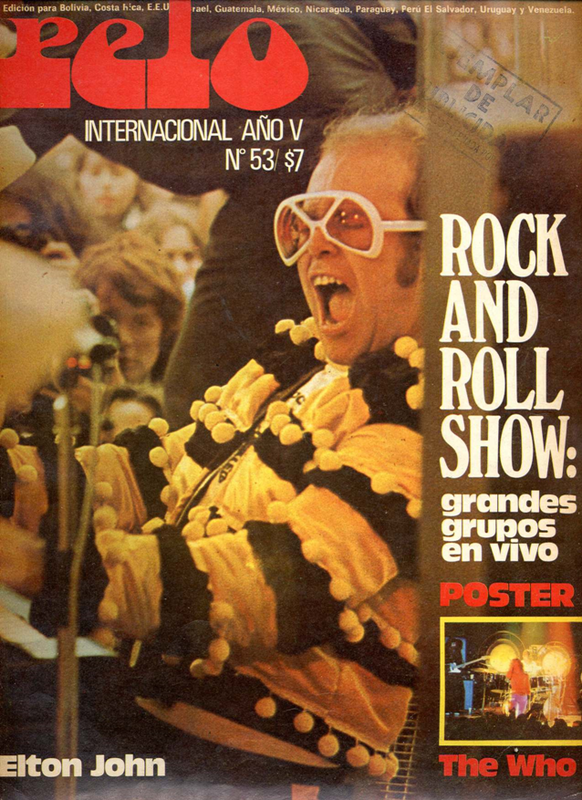 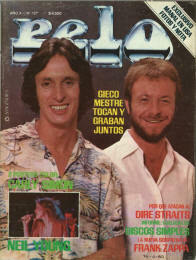 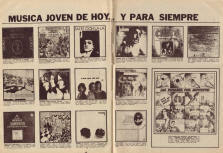 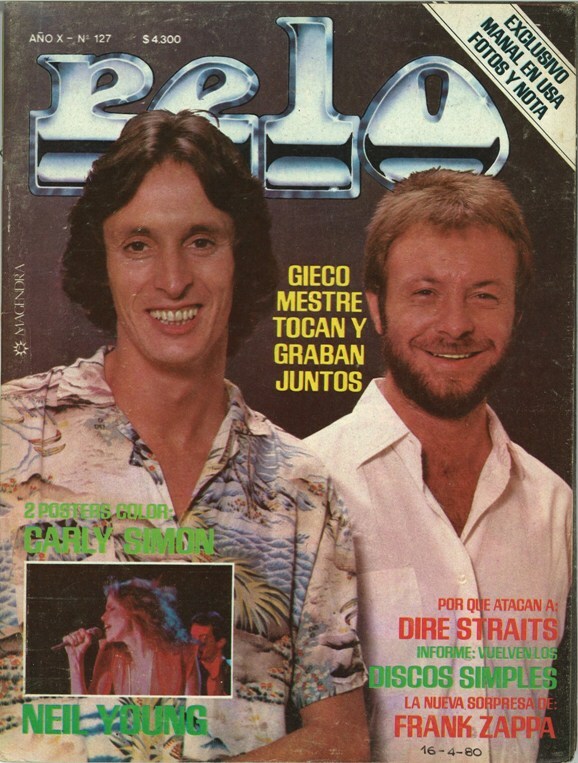 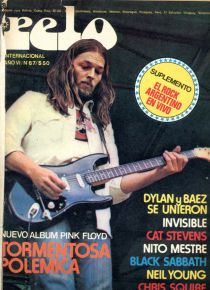 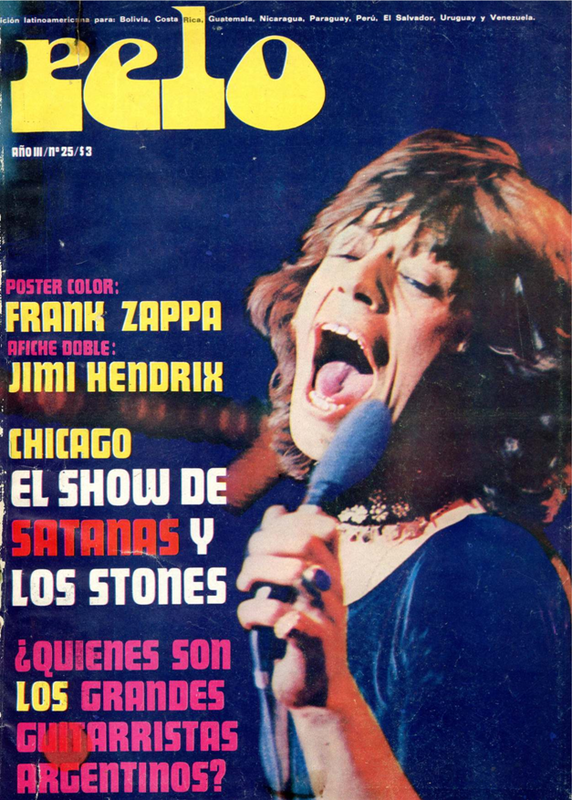 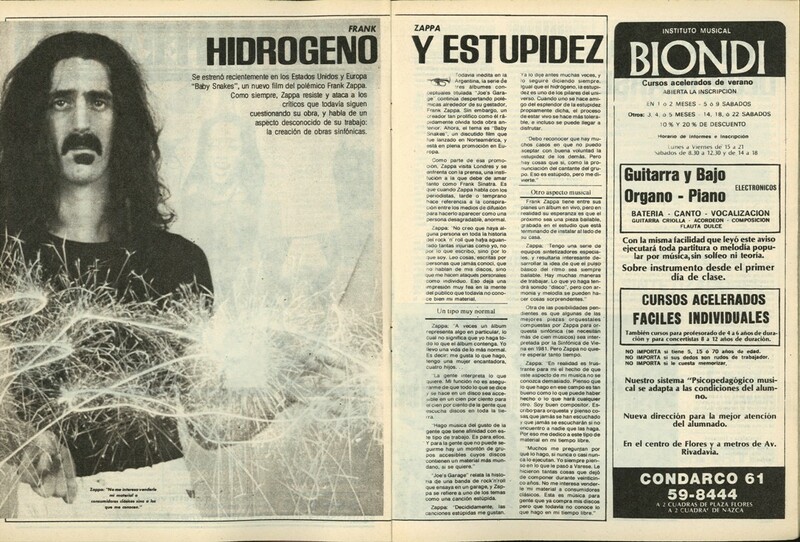 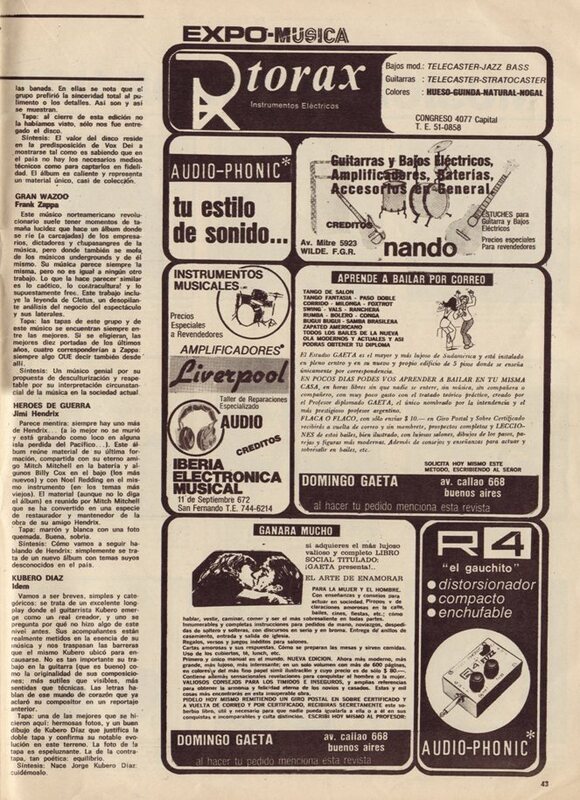 Digital archive: Archivo histórico digital de la revista Pelo. 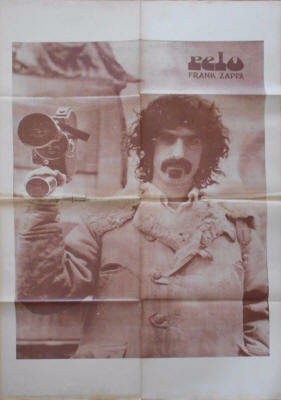 Big poster 84 x 60 cm. 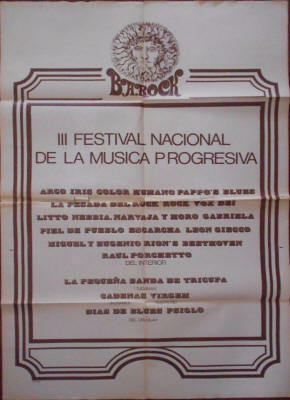 B.A.Rock III (Buenos Aires Rock), festival organized by Pelo. 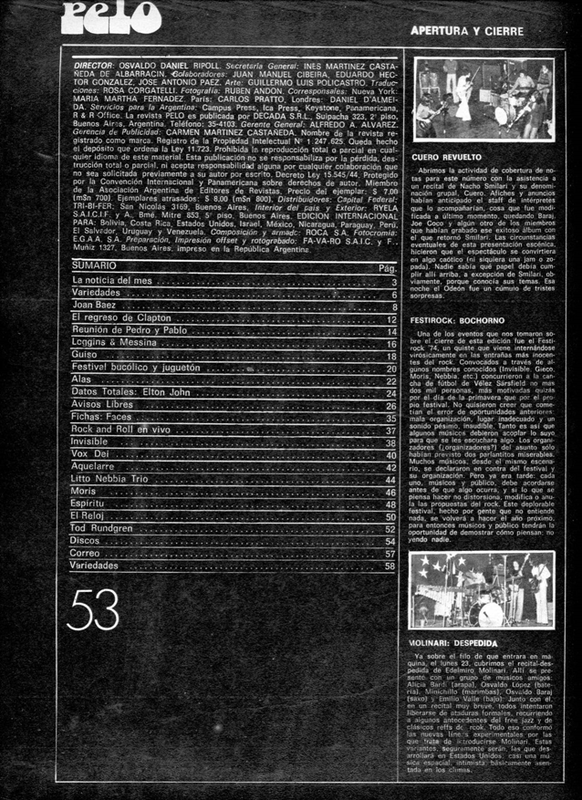 Additionally, on p 43 is a short review on Grand Wazoo and on pp 44-45 an advertisement. 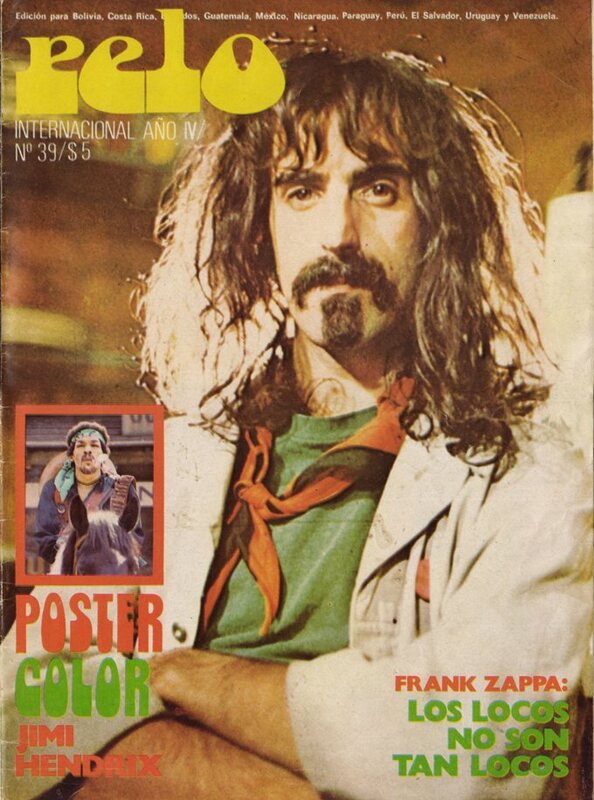 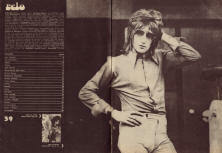 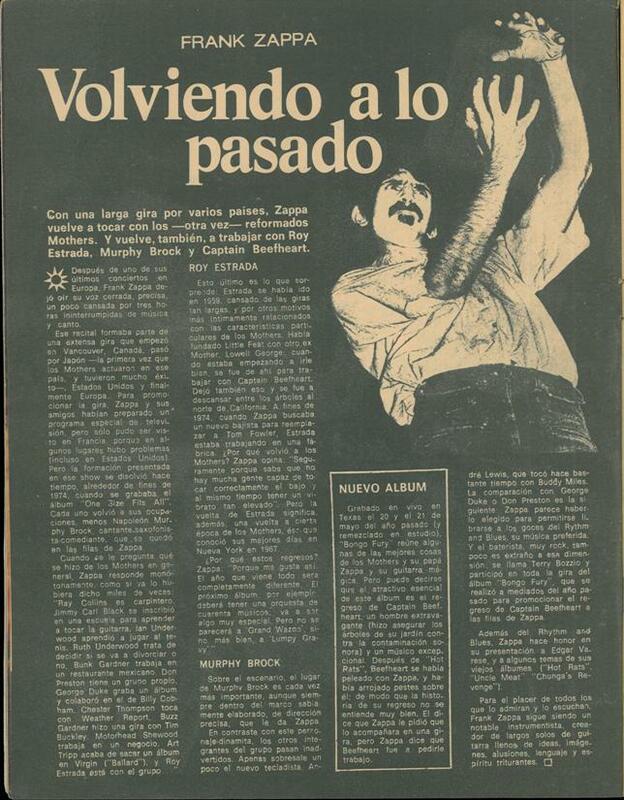 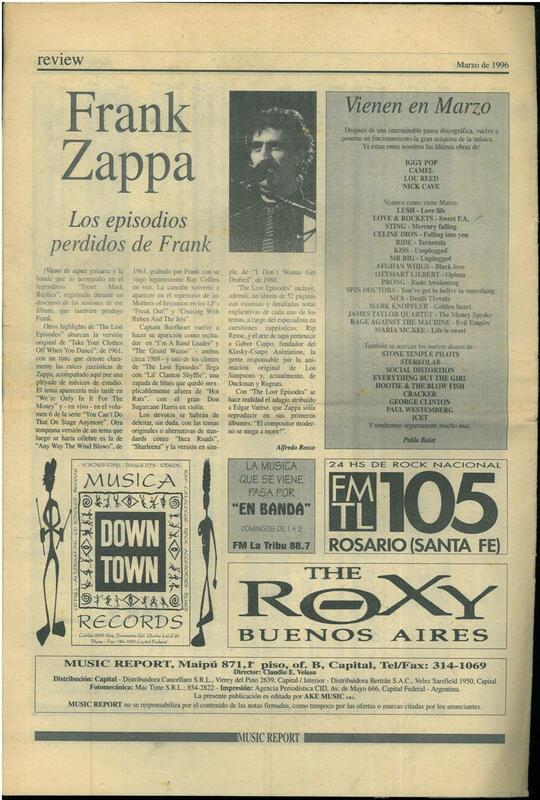 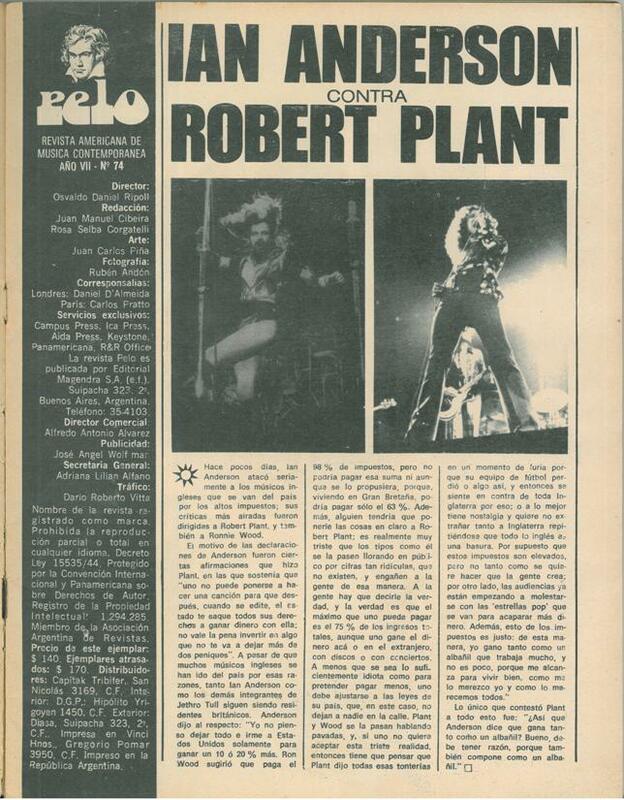 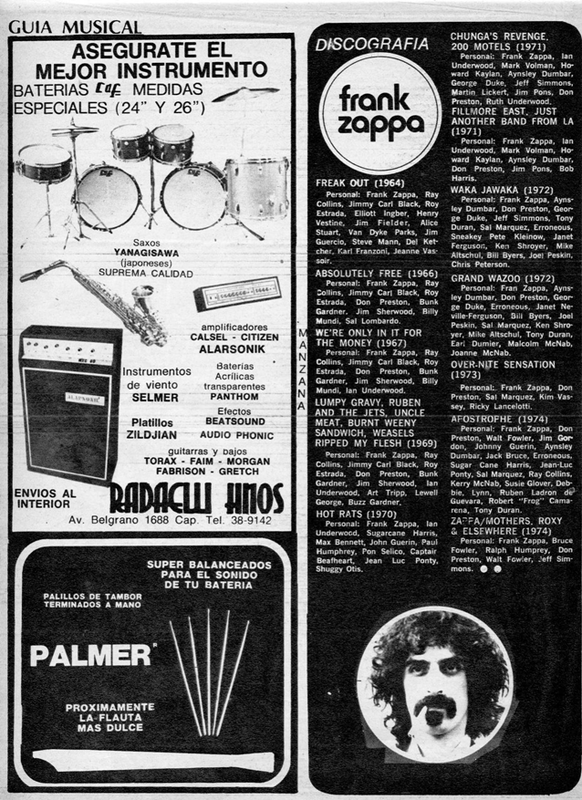 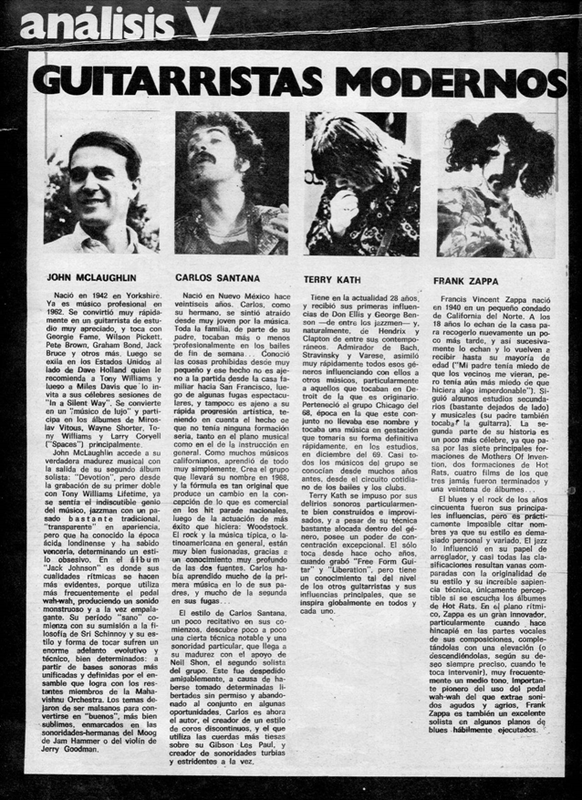 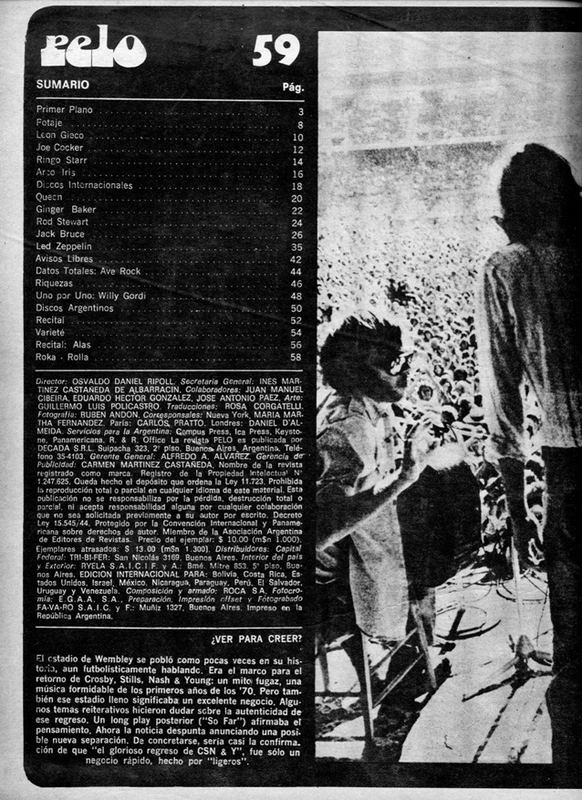 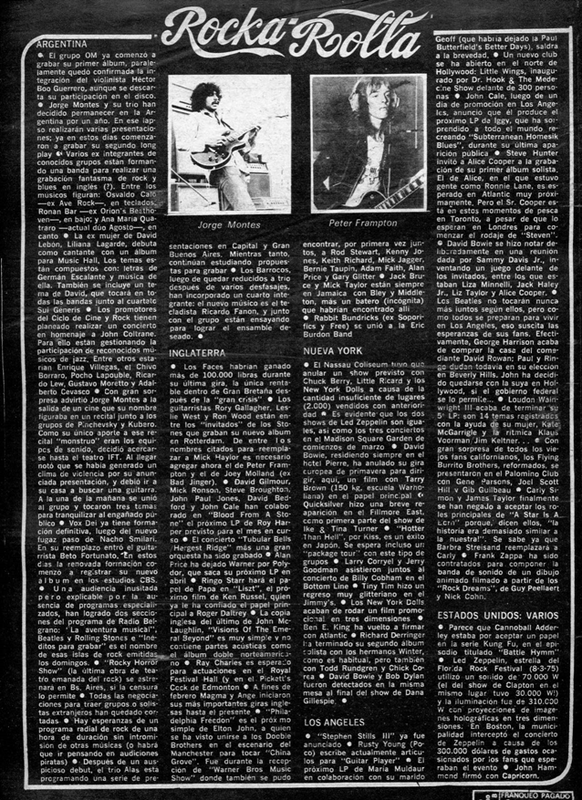 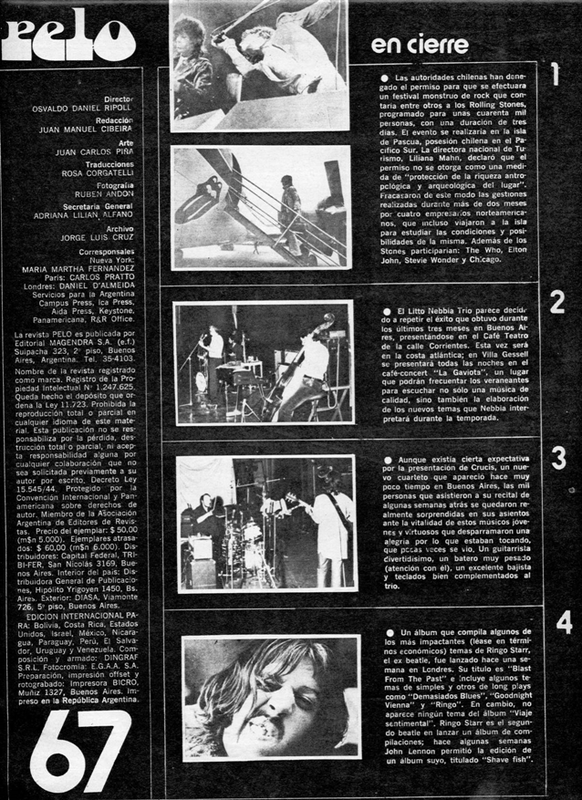 On page 35 is an article referencing FZ interview printed in Melody Maker, July 20, 1974. 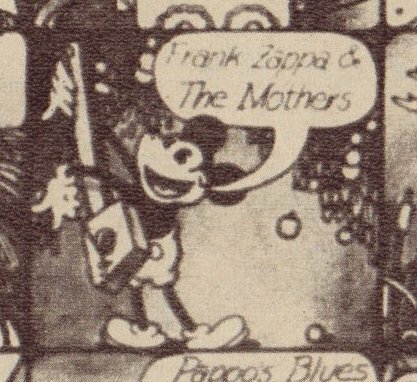 On page 50 is news, that Frank Zappa has been hired to compose the soundtrack of an animated film of the "Rock Dreams" by Guy Peellaert and Nick Cohn. 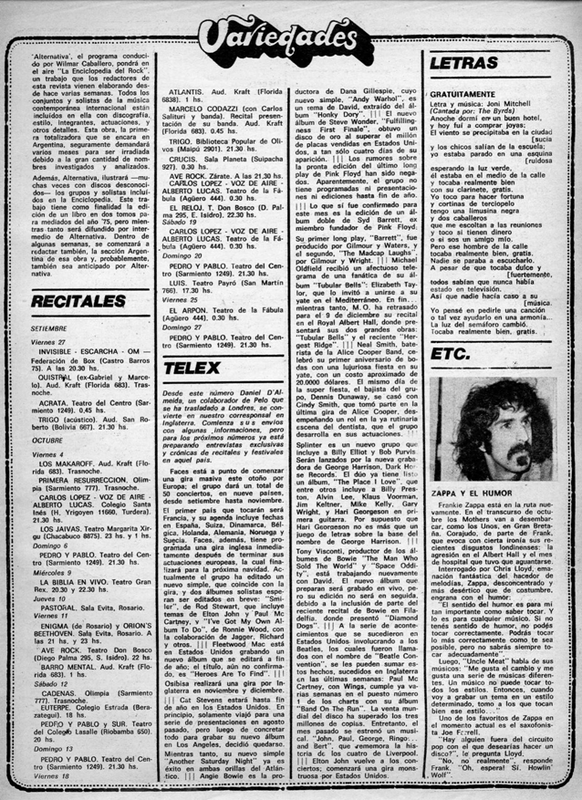 Frank Zappa ha sido contratados para componer la banda de sonido de un dibuja animado filmado a partir de los "Rock Dreams", de Guy Peellaert y Nick Cohn. 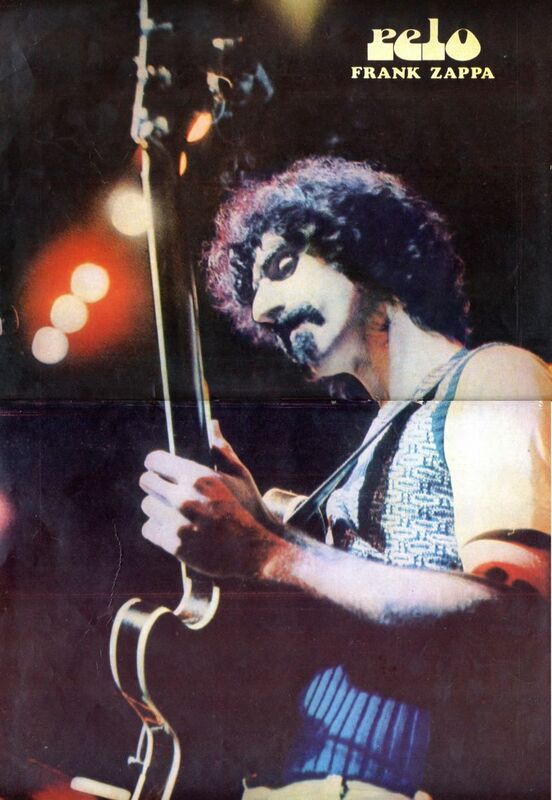 On page 52 is news, that at the extra expensive Roosevelt Hotel in New York, Frank Zappa celebrated his ten years of professional music with his Mothers of Invention. 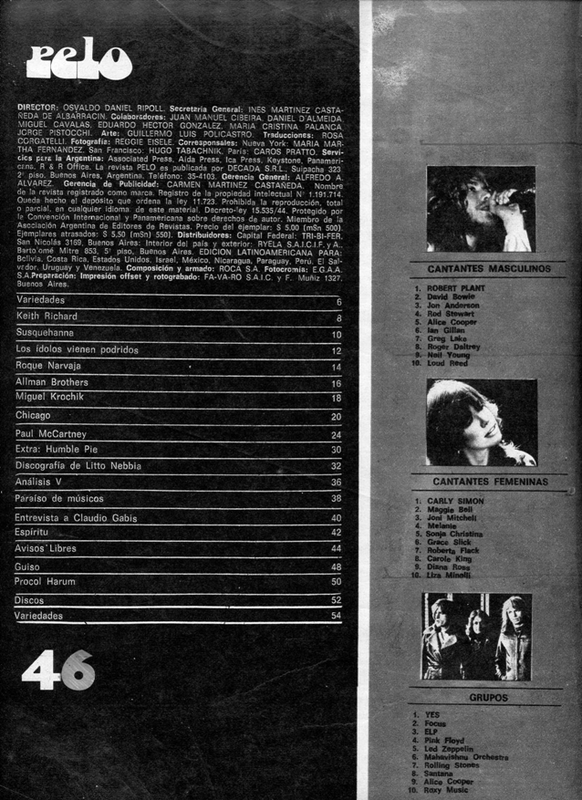 There, apart from receiving the effusive greeting of Carly Simon, he celebrated with some famous guests: Mick and Bianca Jagger, James Taylor, Dory Previn, Stills, Al Kooper etc. 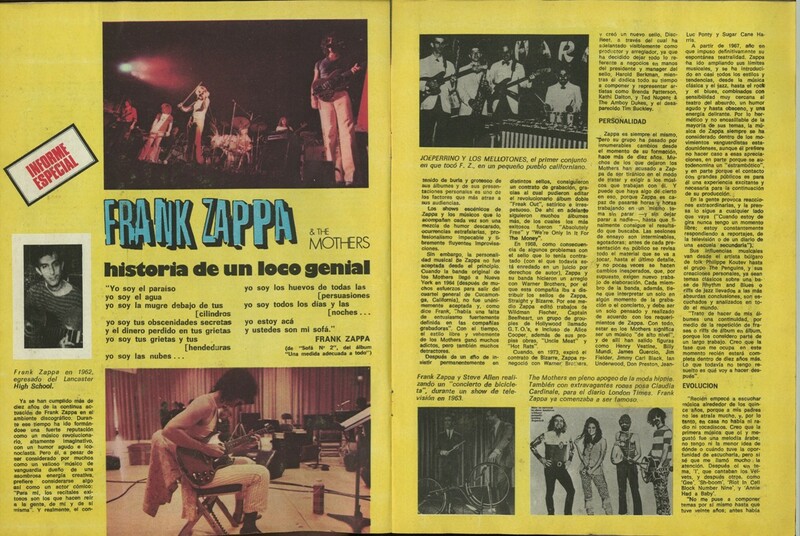 En el extra caro Roosevelt Hotel de Nueva York, Frank Zappa celebró sus diez años profesionales de la música con sus Mothers of Invention. 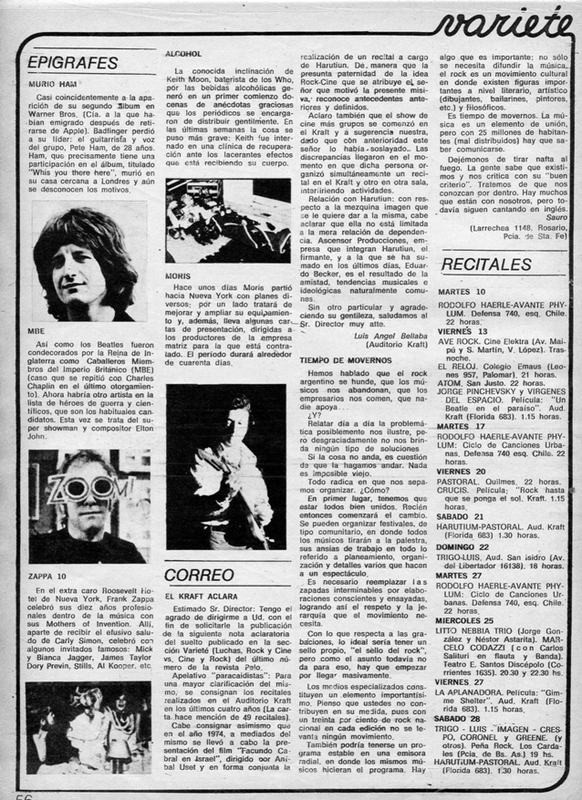 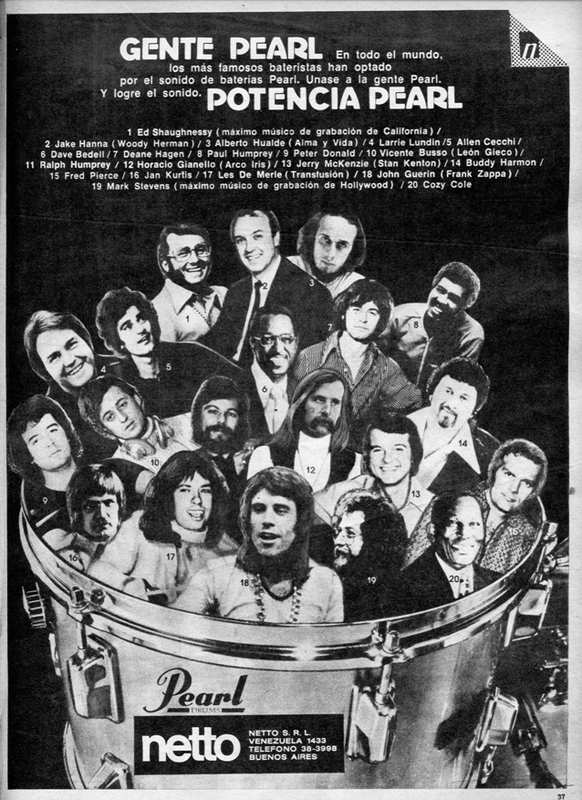 Allí, aparte de recibir el efusivo saludo de Carly Simon, celebró con algunos invitados famosas: Mick y Bianca Jagger, James Taylor, Dory Previn, Stills, Al Kooper etc. Frank Zappa rejoins Captain Beefheart and The Mothers for an extensive tour in USA and Europe. 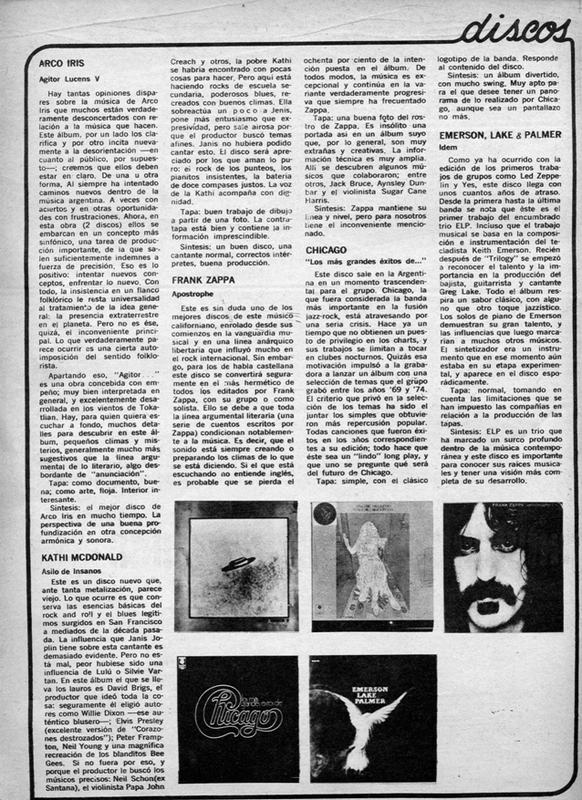 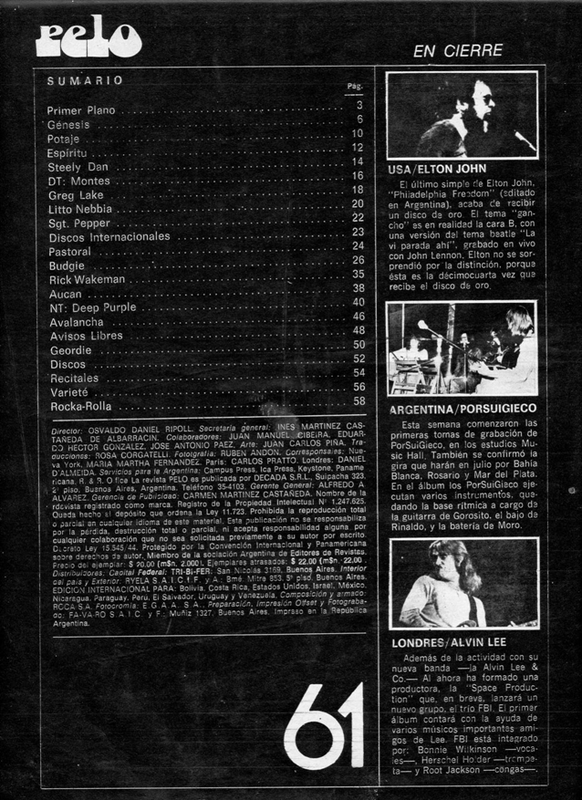 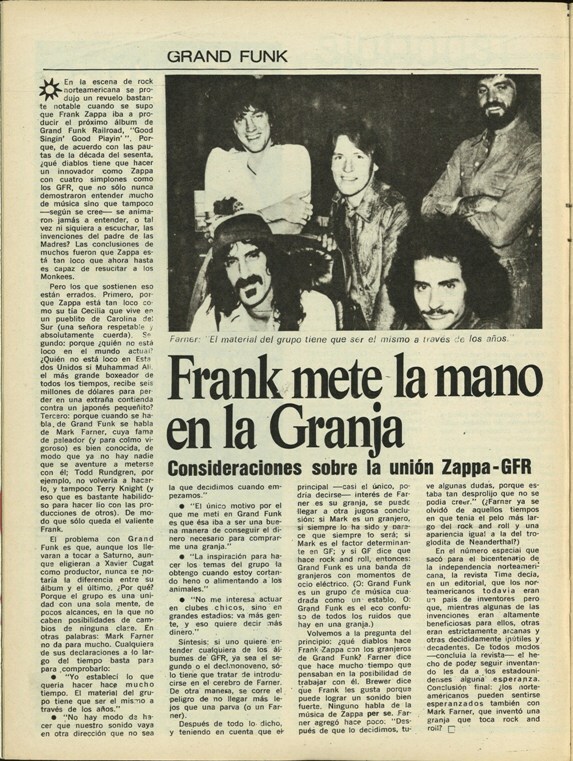 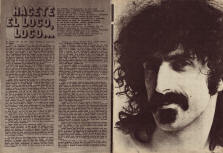 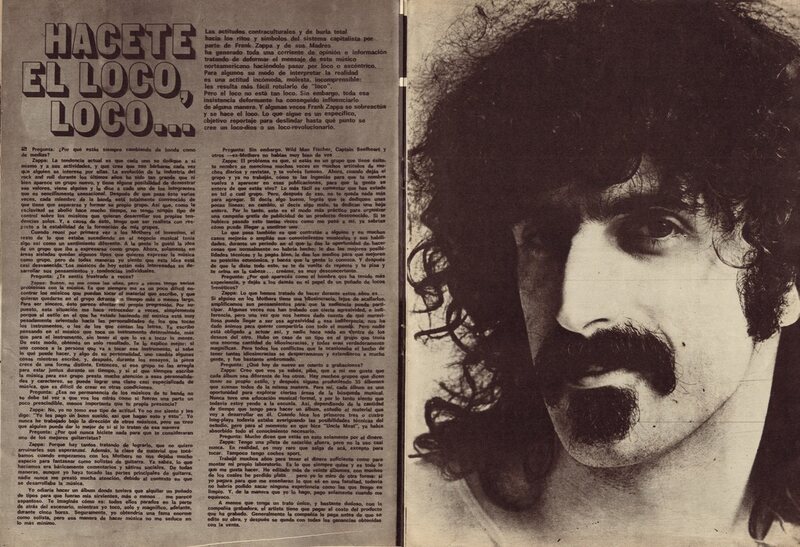 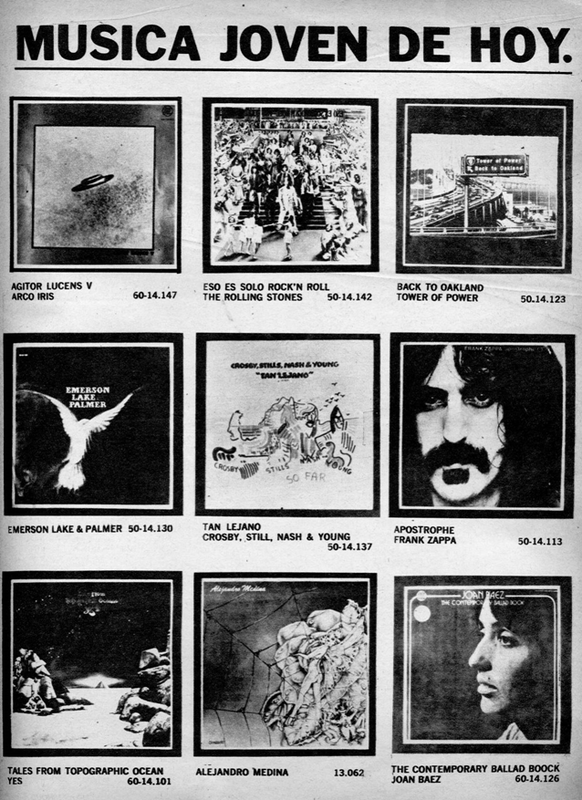 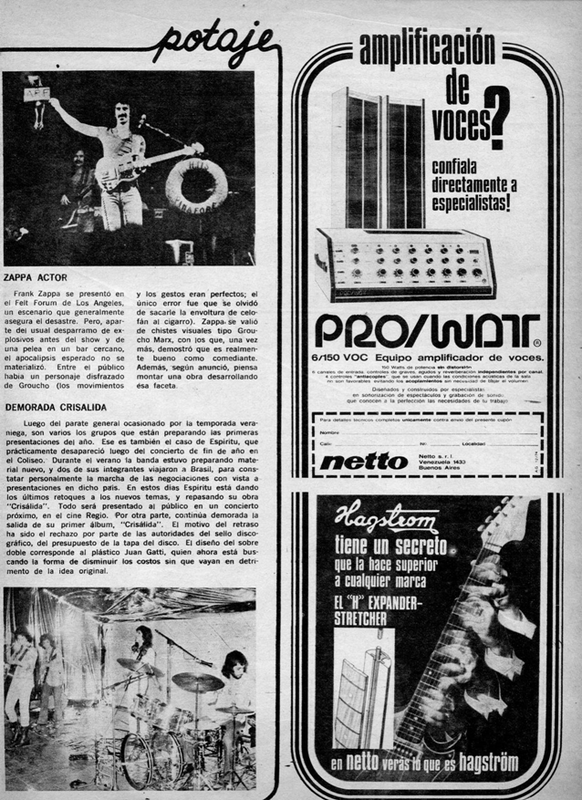 Article on Zappa producing Grand Funk Railroad.